In a response to a Ministry of Justice (MoJ) consultation on extending the period couples must wait for a decree nisi after receiving a decree absolute from six weeks to six months, the Bar Council has said such a period would be too long for couples without children. It said: “It is not clear whether there is empirical or anecdotal evidence that the current period of six weeks and one day is too short a period of time and what the reasoning is for extending it to six months. 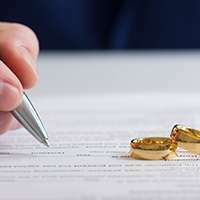 The consultation on reform of the legal requirements for divorce contains a range of proposals relating to the UK’s divorce laws, including replacing the current five grounds for divorce with ‘irretrievable marital breakdown’.